We are happy to announce that ProComSol will be attending the Water Environment Federation’s Annual Technical Exhibition and Conference (WEFTEC) September 29 through October 3, 2018. WEFTEC, which has been called the largest conference of its kind in North America, will take place in New Orleans, Louisiana this year, and you can find ProComSol at Booth 1211. Between demonstrations at our booth and educational sessions at the conference, there’s so much to do and see at WEFTEC 2018. What Is WEFTEC and Why Is It Important? WEFTEC is one of the largest annual water quality events in the world that allows professionals from around the world to explore some of the best water quality education, training and technology available today. The show was started by The Water Environment Federation (WEF), a not-for-profit technical and educational organization representing water quality professionals around the world. Each year, thousands of professionals attend WEFTEC in order to discover cutting-edge technologies, explore domestic and international business opportunities, and network with peers. For those attending WEFTEC 2018, we’ve listed some key information below. To plan your conference and make sure you get to do and see everything you want, WEFTEC even has a mobile app that provides the complete conference program. 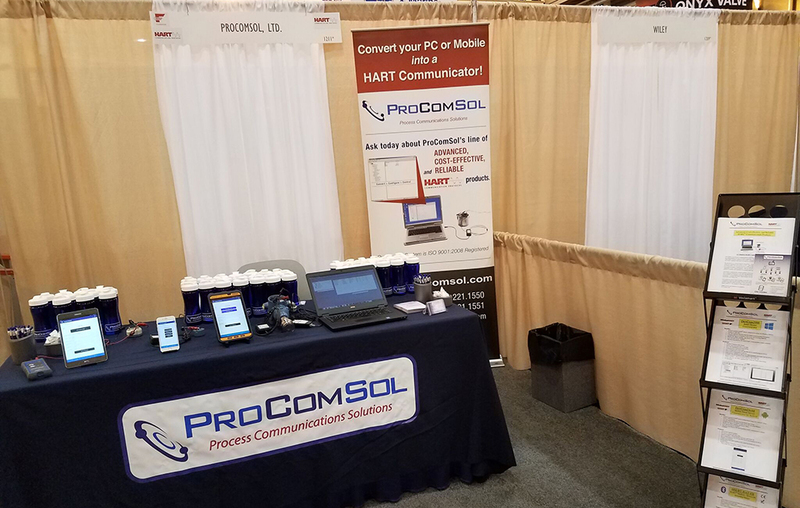 One thing to be sure to include in your conference planning is a stop by Booth 1211 to meet with representatives from ProComSol, a leading manufacturer of advanced HART communication devices. At ProComSol, we pride ourselves on our ability to provide customers with high-quality, cost-effective HART communication solutions. In addition to our software and modems, we also have a HART communication app that allows you to turn your smartphone into a HART communicator, the first and only one of its kind in the world. Our app is available for both Android (DevComDroid) and Apple (DevCom.iOS) devices and its Bluetooth modem capabilities can cover a range of up to 275 feet from a PC. Make sure you stop by Booth 1211 for a demonstration. Want to speak with us before WEFTEC? Contact us today and we’ll be happy to answer any questions you may have; otherwise, we’ll see you in New Orleans!